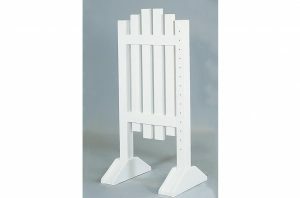 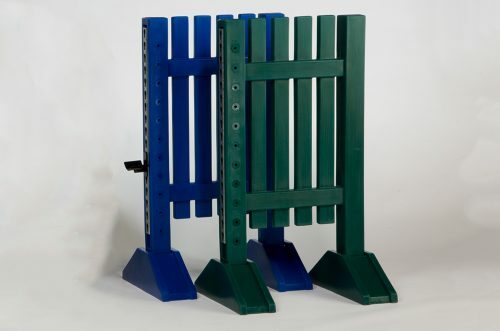 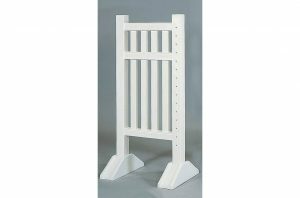 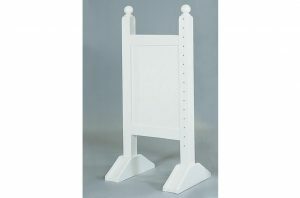 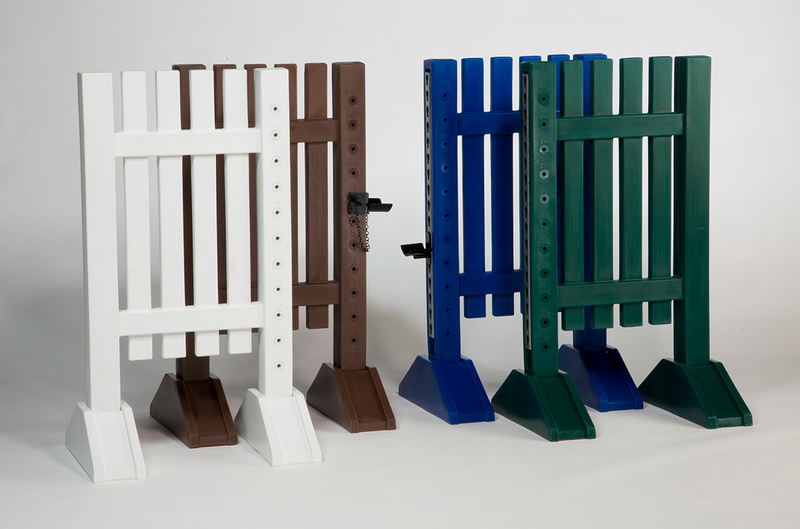 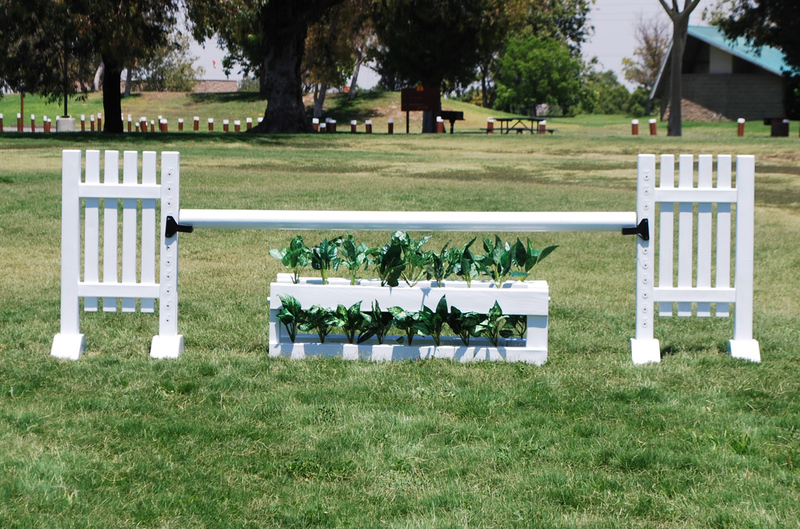 These 45″ pony/mini jump standards are sold in pairs and come with solid pin holes. You may choose Pinless Jump Track. 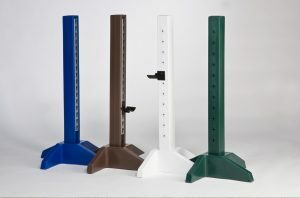 You can jump up to 3’6″ and each jump height is clearly marked. 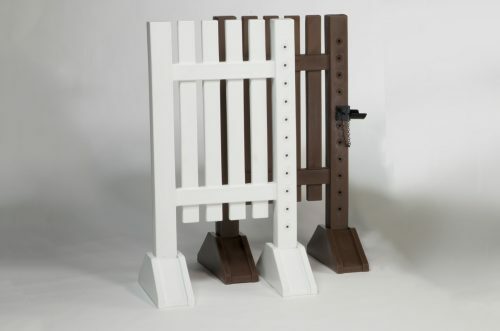 Great for Ponies. Available in: White, Brown, Blue, or Green.